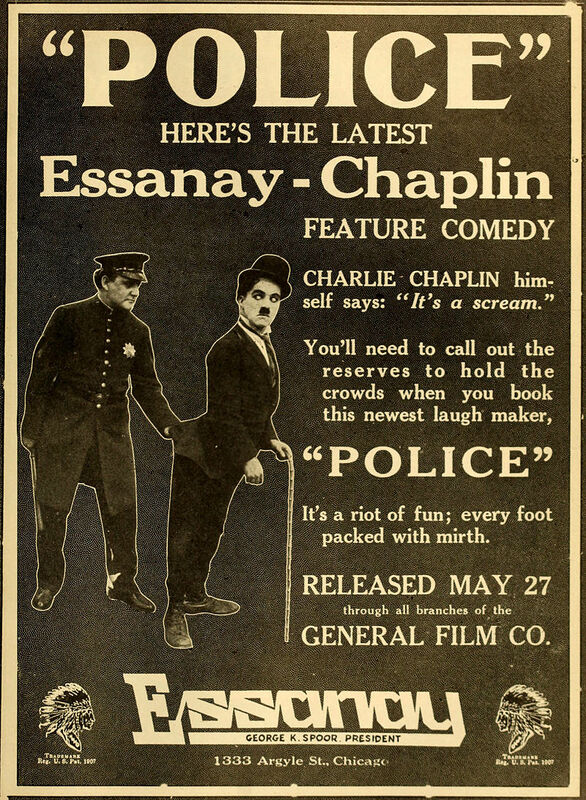 With this, I’ve reviewed every movie Charlie Chaplin made during his one-year tenure at Essanay Studios (there are still some outstanding Keystones still from 1914, but there were so many of those!). As a lot of folks know, Chaplin kept signing one-year contracts at studios, then asking for more money, and moving somewhere else when he didn’t get it. At the end of 1914, he asked $1000 a week from Keystone, and got offered $1200 a week from Essanay (plus a $10,000 bonus). At the end of that year, he asked for $150,000 just to sign, Essanay wouldn’t go that high, so he went to Mutual, which offered him $670,000 a year. This movie was released in modified form by Essanay after Charlie left, but it survived in better shape than “Burlesque on Carmen,” which Chaplin repudiated as a hack job. It begins with Chaplin’s “Little Tramp” getting released from prison with 1$ in his pocket. We don’t know what he did to get punished, but we get the feeling it was petty larceny from his later behavior. He meets a street preacher, who offers to help him go straight. Charlie is moved to tears by his readings from the Bible, but fails to notice that the preacher steals his dollar. He passes a drunk with an expensive pocket watch, and is sorely tempted to steal it, but manages to resist. Then he goes to a fruit vendor and samples various fruits, discarding each after a single bite. The vendor demands that he pay, and now he realizes he has lost his money. When he goes back to look for it, he discovers that the preacher has also stolen the drunk’s watch. He attacks the next preacher he sees (not the same fellow), and a cop intercedes, chasing him away. Destitute, he heads to a flophouse in hope of getting a bed for the night, but he can’t even afford the dime to get in. He sees the manager let a tubercular man in for free, and tries faking a cough, only to be forcibly ejected. Not the best burglars around. Out on the streets again, Charlie is held up by a thug in an alley (Wesley Ruggles), but they quickly recognize one another as former cellmates. He agrees to help the thug burgle a wealthy-looking house. He tries to break in, but they are seen by a cop. Charlie knocks the cop out and tries the front door – it was open all along. The two partners go in and start trying to loot the place, but Charlie keeps making noise inadvertently and has some odd ideas what is worth stealing (at one point, he takes all the flowers out of the vases, and keeps the flowers). He has awoken Edna Purviance, the resident of the house, and she comes downstairs to investigate. When she finds the two men, she doesn’t care about losing valuables, but she begs them not to disturb her sick mother upstairs. Charlie agrees, and she provides the robbers with beer and sandwiches, but also takes an opportunity to call the police. Ruggles gets increasingly agitated, particularly when he notices her fancy rings, and demands to see what she has hidden upstairs. She again protests that her mother could die of shock if they went up there, but Ruggles tries to force his way past her. When he prepares to strike her, Charlie suddenly leaps to the rescue. The two men fight, and Charlie wins. Now the police arrive, finding their comrade unconscious on the porch, and break in. Ruggles escapes out a back window, but Charlie is too slow. Edna now intercedes and claims Charlie is her husband, so the cops leave, reluctantly, while Charlie lights up a cigar. Edna gives Charlie a little money and he promises to go straight, leaving the house a bit of a mess, but mostly no worse for wear. Not the Keystone Kops, but a brilliant simulation. This was easily my favorite Essanay Chaplin film, even though several others were good. 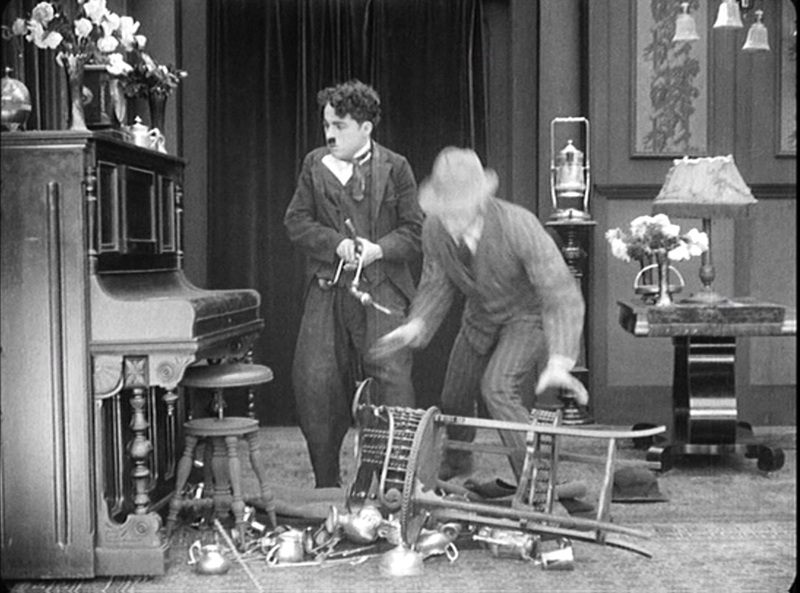 Chaplin’s timing and physical stunts are perfect, and he makes “accidents” look like they really are happening without conscious effort, although in fact they are perfectly timed maneuvers. The camera is more mobile, and there are more close-ups than in earlier films, and time has been taken with the editing and multiple camera set-ups within scenes. Chaplin’s character is now fully sympathetic – when he does the “wrong” things it is out of necessity or frustration, not malice, and he shows an ability to make the “right” decisions when it really matters. 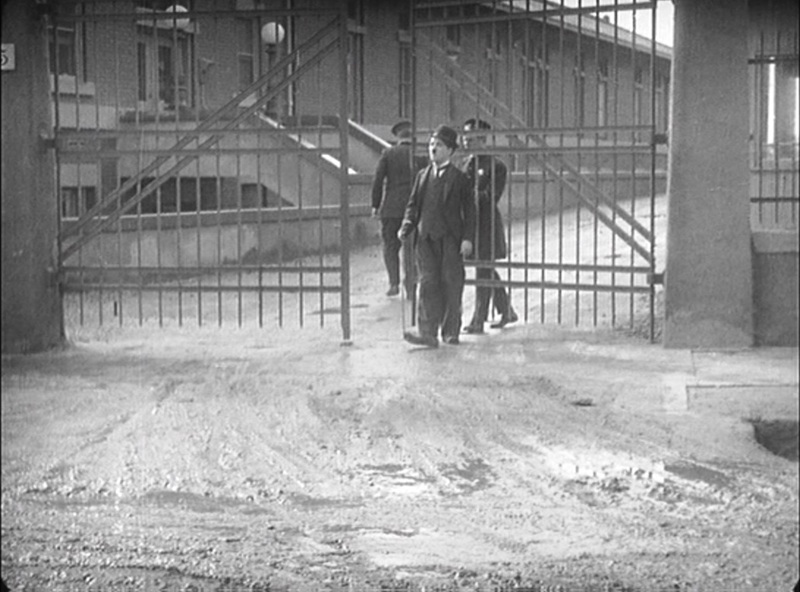 The opening, which shows his release from the prison, establishes a theme in future Chaplin movies (up to “Modern Times’), that shows the Tramp in a transitional phase from being unable to fit into society to trying to “make good” in a world that has no kindness for him. When a rare person (like Edna) shows him decency, he returns it with decency, and shows that he isn’t bad, just lost and victimized by the world (like all of us). I like your article but you failed to mentioned the butchering of this movie by essanay, taking what was supposed to be LIFE, and making two movies out of it, POLICE and TRIPLE TROUBLE. Thank you for your comment! 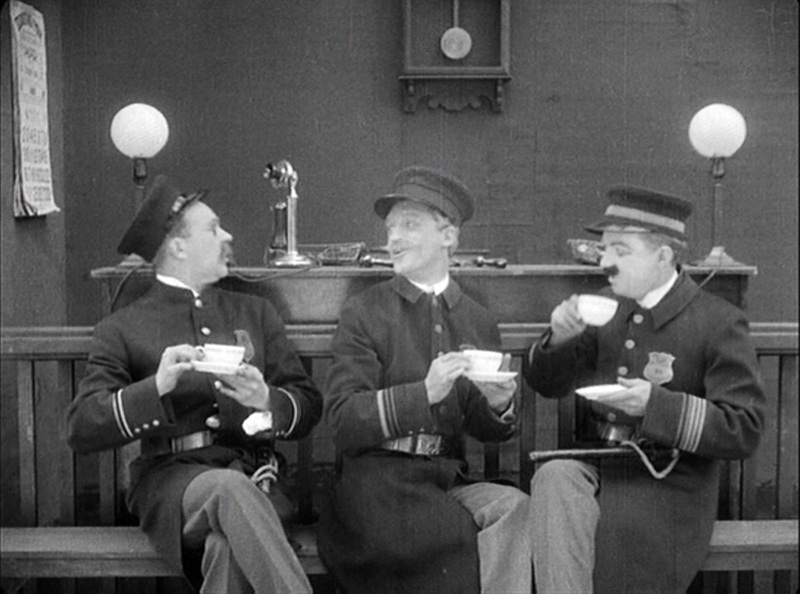 I did mention that in my earlier review of “Chaplin’s Essanay Comedies.” Happily, there’s now a restored version available.